Minimizes Glare of sunlight; Fingerprint-resistant. Very easy to apply and flawlessly fits well on your devices' screens. Can be easily removed by simply pulling off. Guaranteed Non-sticky and Free from markings. 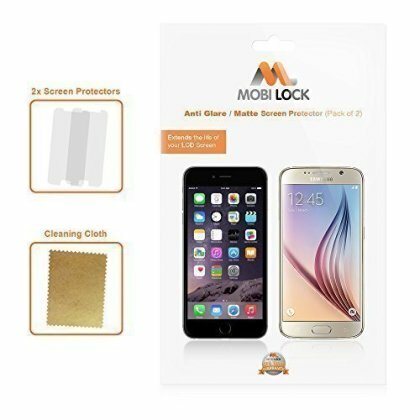 Advantages of Anti-Glare / Matte Screen Protectors: Reduces the glare of sunlight and some people prefer the matte feel. Disadvantages of Anti-Glare / Matte Screen Protectors: Reduces the quality of the image when watching media. Creates a slightly pixelated image.